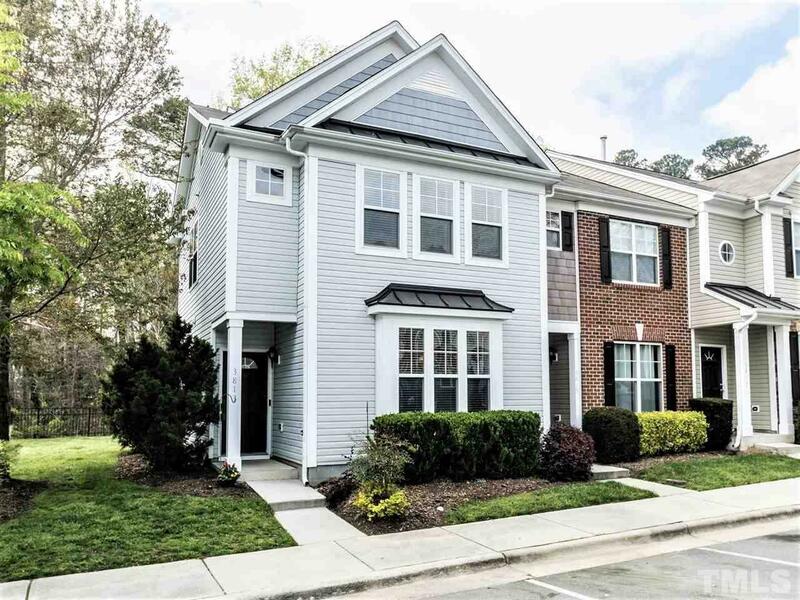 This bright end-unit townhome with an open floor plan and two Master suites has a backyard patio that backs to a private wooded overlook. Features include hardwood floors, 42" cabinetry with crown molding in the kitchen, a 2019 microwave, large windows with 2" blinds, & architectural details throughout. The 2nd level includes 2018 floor tile, new paint, & many new fixtures, some with LED lighting + lots of storage & guest parking, too. Great location near restaurants, parks, entertainment, and shopping!